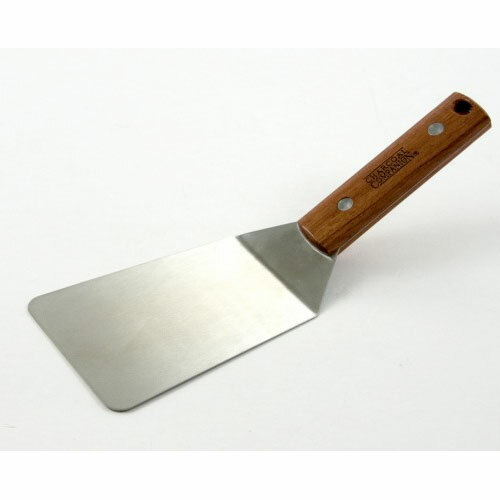 Grilled Cheese Spatula | Patio and Hearth Co. Whether you’re cooking them on the grill or on the griddle, grilled cheese sandwiches are a family favorite. This specially-designed spatula will help you cook your sandwiches evenly, making flipping a whole sandwich at once as easy as a flick of the wrist! The wide-angled spatula head slides underneath a whole sandwich, while the short, strong handle gives you the leverage for a quick and easy flip. Inquire about Grilled Cheese Spatula using the form below.